Before we start in, I want to point out that there’s a Kickstarter campaign running in support of this comic. 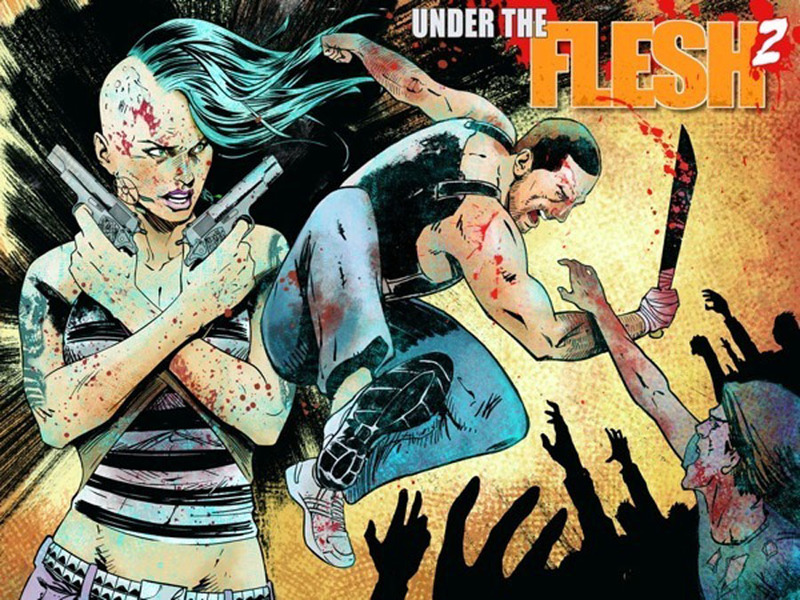 “Under The Flesh,” published by Escape Comics, caught my eye due to its high quirk factor: an intelligent grindhouse zombie horror superhero comic! Let’s take a closer look and see if it resonates with you. Creators Gilbert Deltres and JL Giles have created an intriguing comic which they see, to some degree, as a grindhouse mashup of Captain America, Y: The Last Man, and The Walking Dead. I went with my gut on this one as I initially sensed an offbeat sensibility. 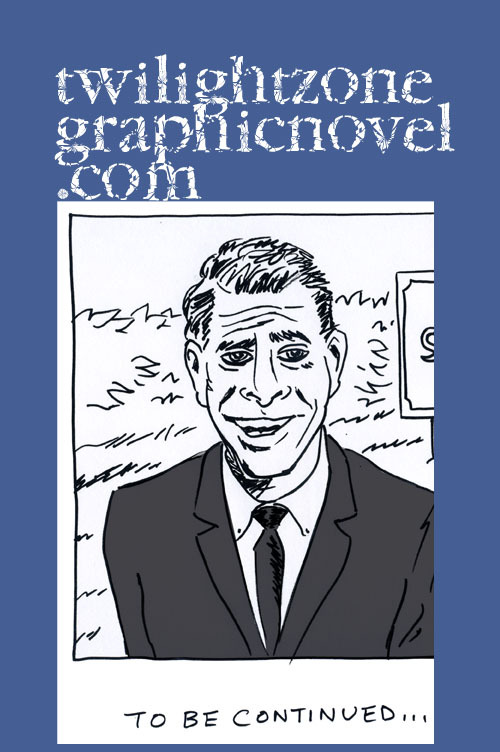 This is a comic that moves fast with equal amounts of action and wit. Certainly, we find that in the comics that they admire. What Under The Flesh does is quickly acknowledge the crazy tropes of zombie and horror. We soon find ourselves with our core group of survivors tucked away from the zombie apocalypse in the safe haven of a sturdy library building. Of course, all good things must come to an end. Deltres has a keen feel for pulling the rug out from under his characters. At the start of the first issue, there was the refreshing role reversal of our hero, Ruben Lobos, being rescued by his girlfriend, Dinah. The setup found us ready for Lt. Lobos to tear into rock and steel, having just escaped from the lab as America’s super-soldier. When the zombie virus was unleashed, Lobos would be a one-man clean-up crew. His first mission: save his girlfriend. But she ends up saving him! First major rug pull! Later, once settled into the library, survivors are starting to go stir crazy, including the once grounded Dinah. Second major rug pull! No one in this comic is, well, on solid ground. Giles has a great handle on the artwork for a story full of just about everything. It’s truly an opportunity to shine and Giles runs with it. A solid story will call out its needs to an artist with clarity. 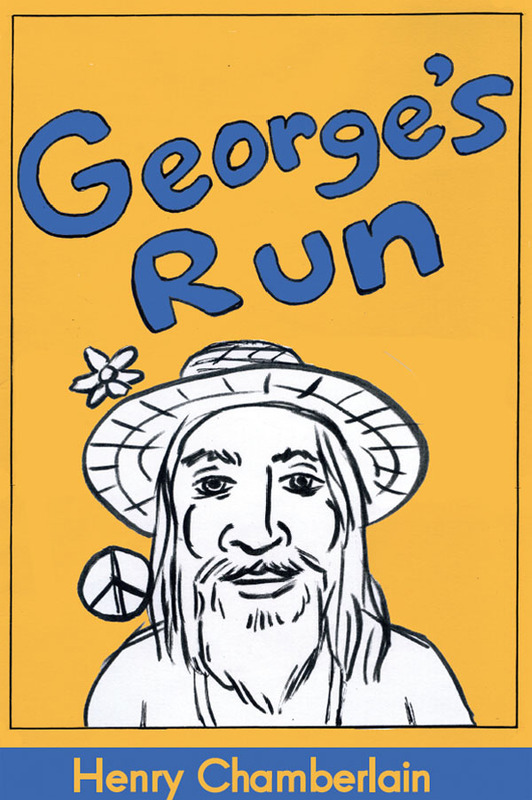 This story revels in its mashup of genres and its irreverence. It chooses to walk a line between full-on action and irony. Giles gets that and brings to the game just the right vision. You get believable characters and settings. You get the right level of gore. And it all adds up. This is much more than just a zombie comic and, while it has its fun, it also strives to take you down some new zombie paths. For instance, stick around, because this story invests a lot of care in what the zombie outbreak is really about. It’s no coincidence that we have a super-soldier emerge just when Earth is taken over by zombies. Creators of comics don’t always get this but their creations manage to hold up a mirror back to them. In this case, I sense work coming from creators who are having a good time and approaching the work honestly. Too often within these genres, we can end up with something that falls short but not this time. 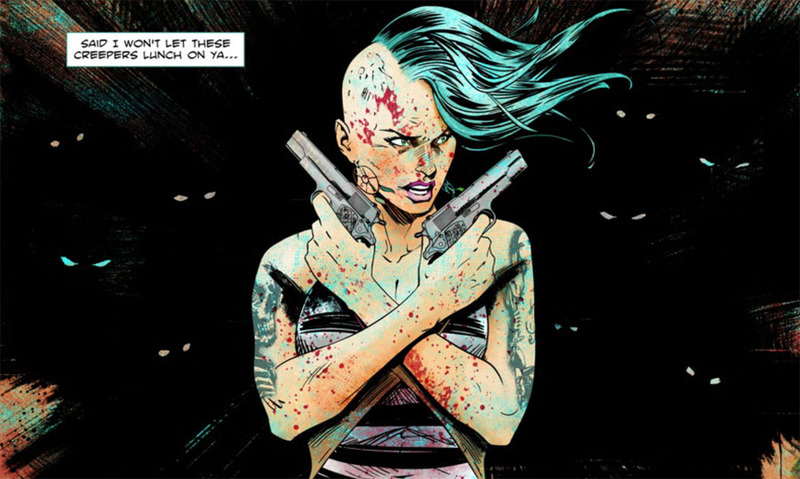 Check out the first issue for FREE by visiting the Under The Flesh Kickstarter campaign! “Under the Flesh #2: Ravaged Road” seeks your support in getting it out to print. 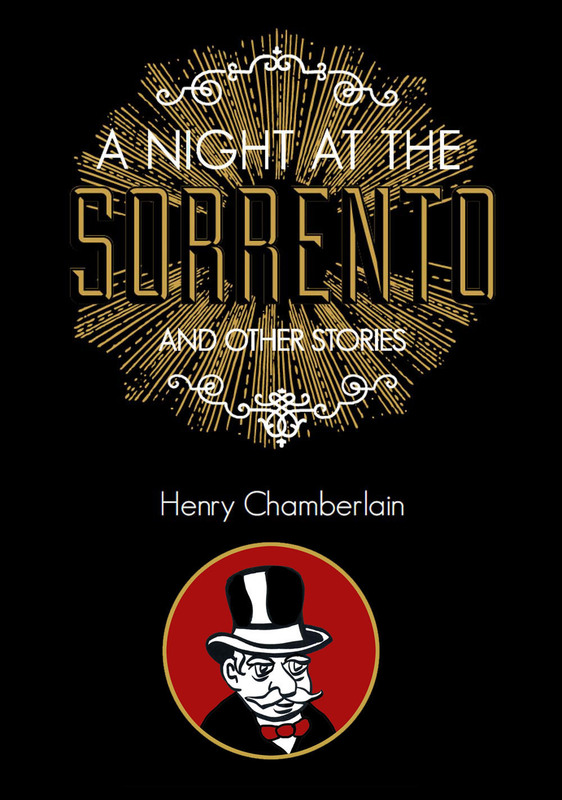 Visit the Kickstarter campaign (which closes on Monday, December 8) right here.